China – In an overly crowded smartphone market, a new Chinese company; ZUK is trying to make a splash. The company is backed by the tech giant Lenovo and the Chinese software company 360. The latter has committed $409 million in the venture alone. 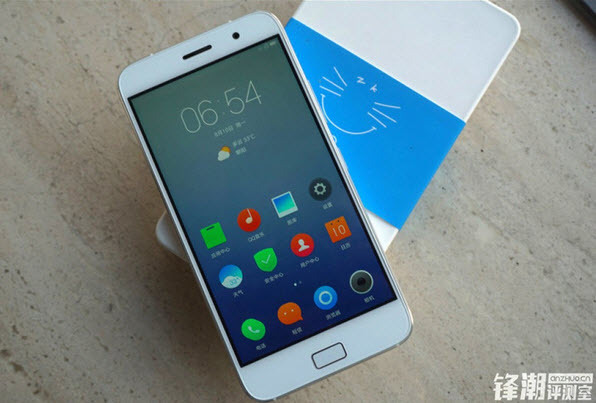 The company has launched ZUK Z1 and also got its first review by the Chinese publications. Most of the specifications and features of the smartphone have been leaked. The smartphone ZUK Z1 boasts a metal frame and a glossy plastic back panel. It sports a 5.5-inch full HD IPS touchscreen with 1920×1080 pixel display. The smartphone is 8.9 mm thick and weighs around 175g. The smartphone is powered by Android 5.1 Lollipop wrapped under the in-house ZUI. It runs on a Snapdragon 801 chipset and has 2.5 GHz Quad Core processor paired with 3GB of RAM and 64GB internal storage. However, there is no microSD card slot available for the expansion of the storage capacity. ZUK Z1 houses a 13MP rear camera with Sony IMX214 sensor and optical image stabilization feature. It also has an 8MP front snapper. The ZUK Z1 smartphone also sports a fingerprint scanner which is integrated into the home button up front for added security. The smartphone is backed by a massive 4,100 mAh battery. It also comes with a faster 2.5A charger; thus backing the smartphone with a more powerful battery. The connectivity options include dual-SIM card slots, Wi-Fi, 4G LTE support and a USB Type-C port. The ZUK Z1 smartphone is priced at 1,800 Yuan ($285/€258). Registration will be required for purchasing the phone and the sale will kick off on August 18 at 5:00. In order to expand its market, ZUK may hopefully market their smartphone outside of China also.